This is not a typical PhoneArena review. One of our review professionals decided to experiment and use a different approach for describing the way this particular device, influenced his life. The main character is fictional and is intended to make your stay on PhoneArena more fun. We encourage any comments or suggestions. Enjoy! All persons and events portrayed in the report are fictional and only the italic text is real data. The sun had just risen over the horizon, a few minutes ago and was bringing a little gift of beauty and calamity to the big city. Indolently caressing every window, it was trying to remind the people of the beginning of the new day. It gently seduced the blinds of my bedroom, kissed the rectangular black box (with dimensions 4.0 x 1.8 x 0.6 inches (101.5 x 45 x 14.5 mm)), lying on my nightstand and in this very moment, it blinked. The two-inch display with a resolution of 176 x 220 pixels became alive and 262k colors became a part of the morning. 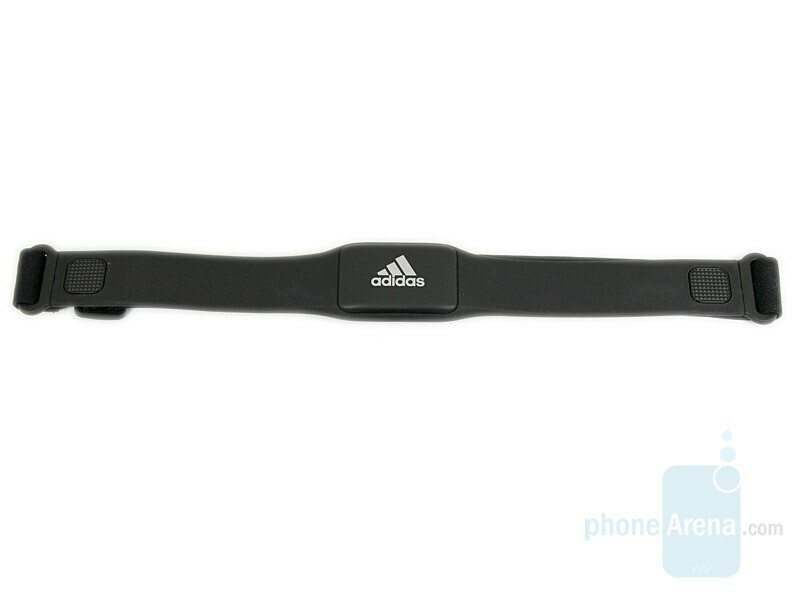 Finally, the alarm clock of my Samsung miCoach slider, made in partnership with adidas, politely tried to push me out of the bed. I reached, took it in my hand, for a hundredth time astonished at its incredible lightness (only 2.8 oz (80 grams)) and sat in the bed, in such a way as not to let the sun light fall directly on its screen. This is one of the few things that I hate about this phone. Even at maximum brightness, the screen is unusable in broad daylight. You can compare the Samsung miCoach to many other phones, using PhoneArena's Visual Size Compare tool. Still sleepy, I looked at the buttons under the display. There are a total of 7 – two standard soft ones, call/end, clear and two shortcuts. The first one leads to the music player and the second one gives me access to the top-secret miCoach menu. Between those two, there is a D-pad with a confirmation button, which could be also used as play/pause for the music player. The keys lack relief, but are large and easy to press, except the Clear. Fortunately, I needed the left soft button, in order to stop the annoying alarm. I easily hit the target and used the convenient bulge under the adidas logo to push the slider up. I ran my fingers across the canyons of the keyboard. Without purpose, I pressed few of the large buttons and they pushed back, especially the ones in the lower part, closer to the round edge. I had an important mission before me, and I still couldn’t get the thoughts in my head. They floated in a circle around the asymmetrical colors of my phone. 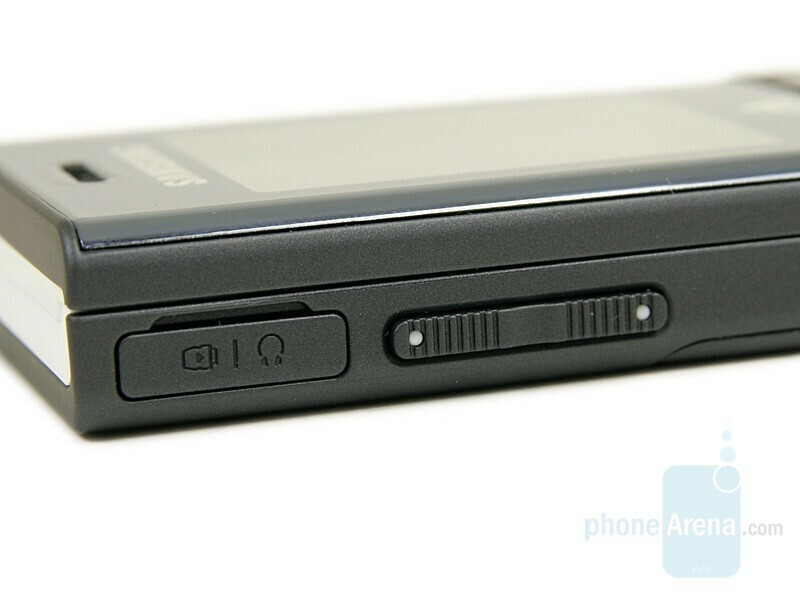 Its right side is white and that’s where the camera button is positioned. 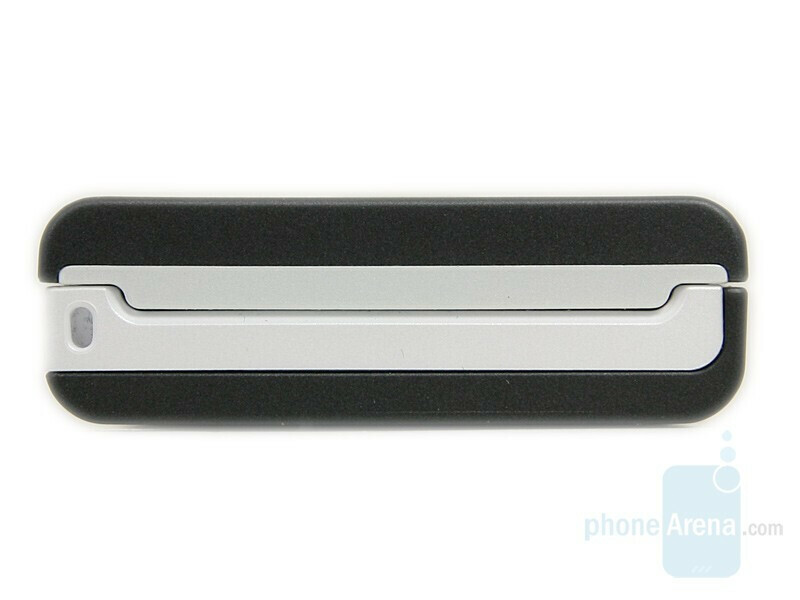 The upper part of the phone, including the inside of the slider when it’s opened is white as well. The charger/data/headset connector and the volume rocker are located on the other side. The last one is rugged so it doesn’t slip while I press it with my sweaty hands. It's the same story with the navigation pad and the back of the phone. 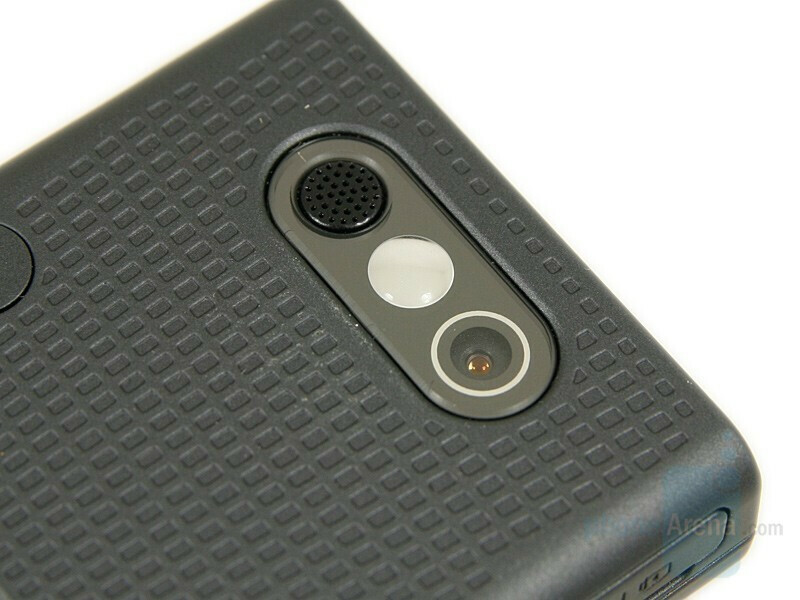 That’s where the 2-megapixel camera and the speaker are residing. The battery lid has my favorite Samsung and adidas logos. I think it’s time to stop playing with the phone and get to work. I get a quick shower to refresh my head and start dressing up. Before I button up my shirt, I have to put the Heart Rate (HR) sensor around my chest. That’s not such an easy task, since the part that goes in the front is solid (it houses a 3V changeable battery), and the other half is elastic, but doesn’t extend much. It’s pretty tight around my chest, which is somewhat annoying. Since I have a body of a Greek god, I have no problem with that, but for overweight guys and the ladies putting it on could be a real challenge and I’m sure they will not feel comfortable. I put my sneakers on and attach the stride sensor, which counts my steps. 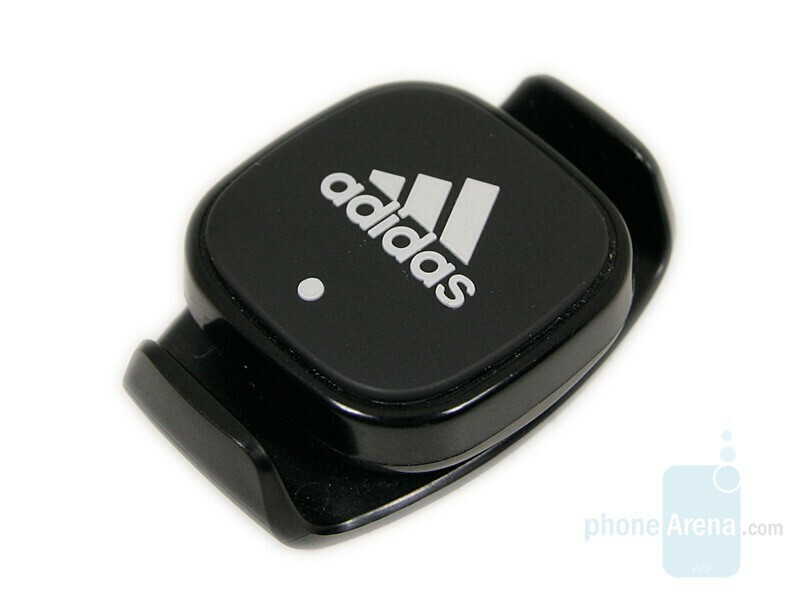 It clips easily to any kind of sport shoes and not only to my preferred adidas branded runners. The sensor is powered by a battery, which is claimed to last 10 months if used regularly. Therefore, I attach it firmly between my laces, but what if I didn’t have laces and some kind of Velcro shoes instead...? I won’t be needing the special poach, which let’s me attach the phone to my arm since it’s going to limit my movements. All I need to do is to plug in the adapter to the 3.5 mm jack and the headphones. The ones that come in the box, have good quality, but fall off very often and that’s annoying. With this outfit, I feel ready for a hectic day. While I’m walking out of my apartment, I’m happy because I not only have such a super-light and beautiful sports phone, but a whole system, which to help me stay fit. I appreciate the effort and creativity put into writing this review. However it was quite tedius having to trudge through the poorly written fictional account for actual phone info. Hopefully this will be the first and last review of this kind. 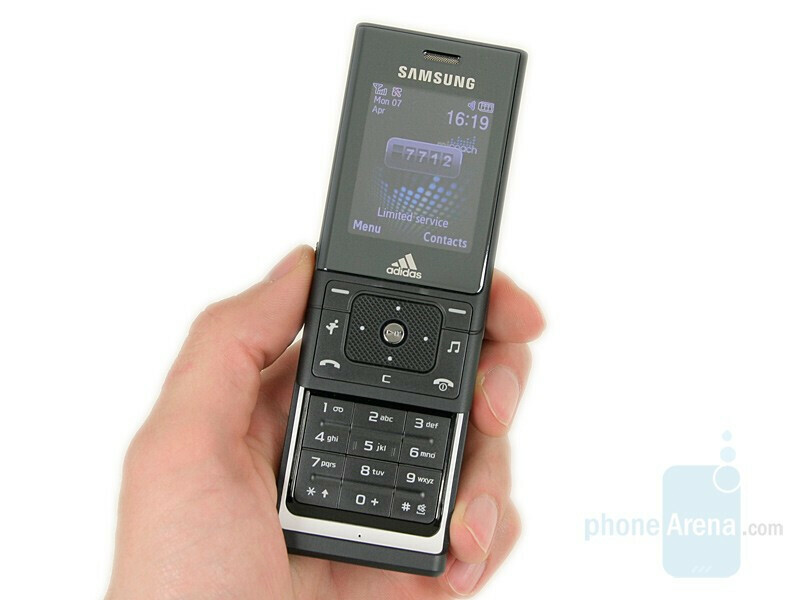 The phone looks like an uglier, more cheaply made version of the LG KE800. 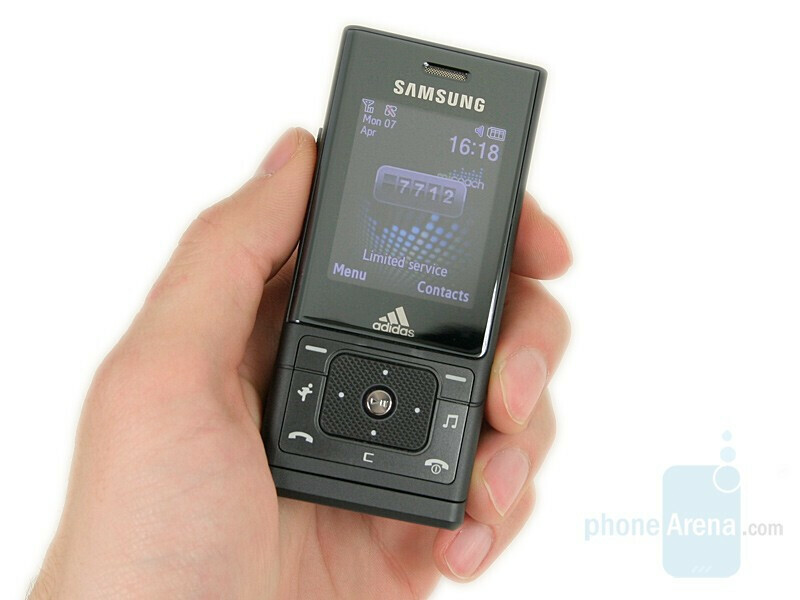 How good is it against the Sony Ericsson W580i? This was a great review. I like the fact that it is a story as well as a review! 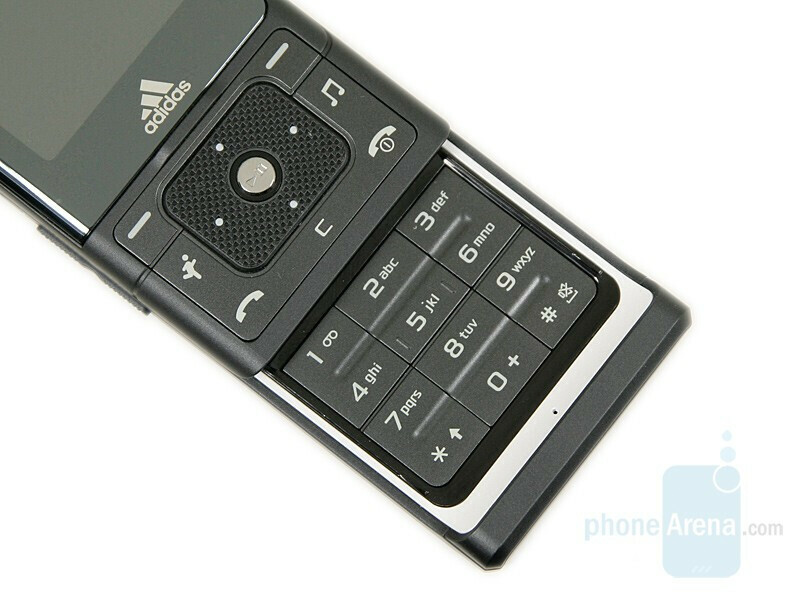 Because of this story i now am going to buy this phone! and become A secret Agent 007! 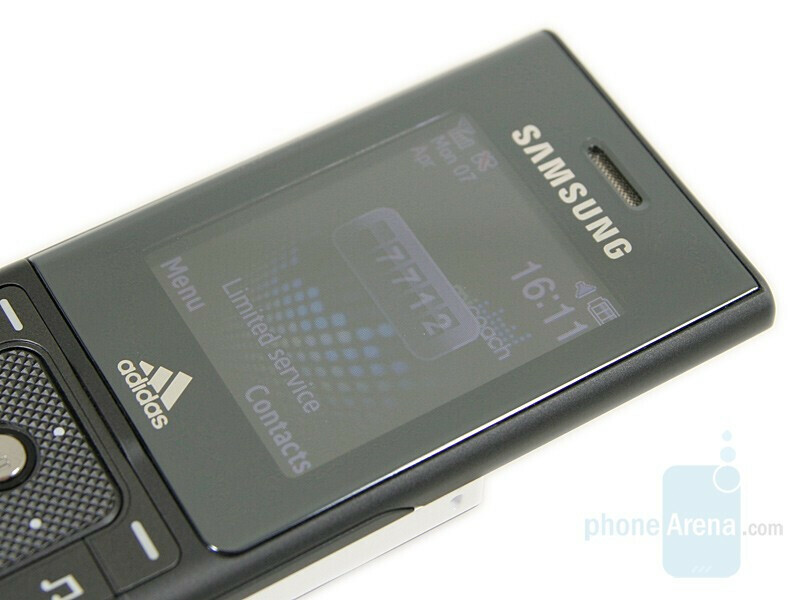 I really enjoyed this phone at first, buying it the week it first became available. Once I'd found my way around the phone's various "phone" functions, I started to try out the miCoach side of it. 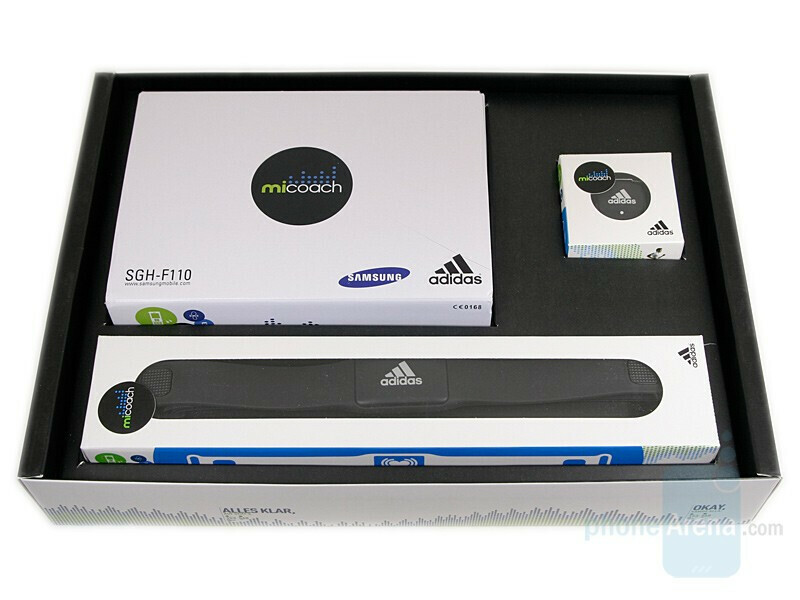 The miCoach Web site was pretty good to begin with and has been updated a few times too. 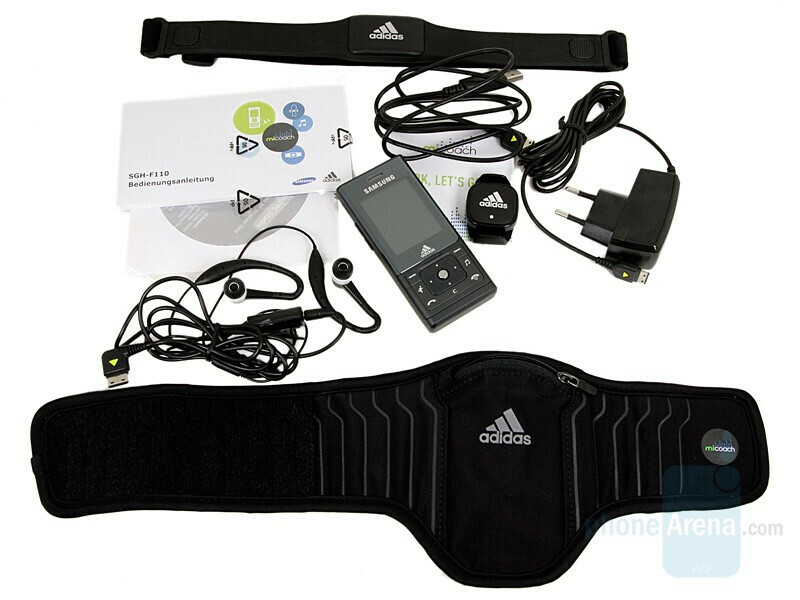 But, and this is a big but if you commit to a miCoach training programme, the HR sensor that came with the phone just died one day. It was fine on a Thursday morning, and dead on the Saturday. New batteries and resetting of the phone did not help. I was given a replacement but after six weeks (again on a Saturday morning) it got very temperamental. It didn't work that Saturday, but did on Sunday's run, before going on to die completely the following week. Samsung support suggestions have been largely unhelpful, with different staff making different, often contradictory suggestions, none of which worked and some of which sounded like the customer service staff member was making it up on the spot. Poor reliability, and very poor service. I was eventually promised a replacement, which never arrived, and I had to badger Samsung again, who insisted on taking me through yet more useless suggestions to correct the problem with the broken one I had. Finally, they have sent another. Unfortunately, I'm injured at the moment (not running-related) and so have not tried out sensor number three, but I am very disillusioned with the Samsung product and for the past couple of months have gone back to using my old phone.